Nutrient recovery is the process whereby N-P-K nutrients are extracted from agricultural waste and converted to environmentally safe material to be used for biogas, gasification and compost fertilizer. Not only do you obtain valuable fertilizer byproducts, the shipping costs of the remaining separated fiber are a fraction of the cost of hauling liquid manure from your farm. 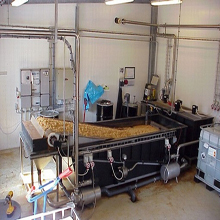 Besides nutrient recovery, some waste management systems require separation of the liquid and solids for easier process and handling. Skinner AgSolutions offers field-tested equipment systems for nutrient recovery and solids separation that will fit your farming operation. Skinner AgSolutions has conducted extensive testing of the AL-2 nutrient-solid separator, with outstanding results. Remove nitrogen and phosphorus for fertilizer use, while reducing the cost of shipping the remaining separated fiber. The Bioselect from Boerger is a closed loop, leak-proof screw press machine used for thickening or solid-liquid separation. 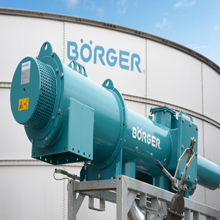 When coupled with a Boerger Rotary Lobe Pump, material can flow into the Bioselect unit easily and without clogging.